As data centers continue to evolve and expand, the considerations a manager needs to take into account continue to increase. How does one balance an expanding consumption with important sustainability needs? What is one to make of the recent rise in cloud computing? What security challenges must a manager of a data center face today, and how does one prepare to handle them effectively? Here are some key qualities that any successful and effective data center will have. In a study commissioned by Emerson Network Power in 2010, it was found that 2 percent of downtime incidents were security-related. By 2015, this number had risen to a whopping 22 percent. Despite the rise in hacking incidents, new countermeasures to protect sensitive data have also come into practice. One of these measures is the use of out-of-network data pods. These data pods operate completely separately from the greater network, and their security can be even further bolstered by separate power and thermal management systems. In the age of cloud computing, networks can extend beyond the local server to utilize remote internet servers. This affords data center managers a great opportunity to further optimize the efficiency of a network. One model organizations have explored is a shared service model. Many servers use only five to fifteen percent of their computing capacity. If you have such a server, the rest of this capacity can be shared with other organizations, while you reap a portion of the benefits. Furthermore, this extra capacity can even be sold on the open market for full profits. A data center that is funded by the rent paid by those sharing the extra capacity is running on a self-support model, and it is a great way to save your organization money. When you adopt a more sustainable model for the management of your data center, it saves your organization money in the long term. UPS systems can run at a much higher efficiency if they are run with active inverter eco-mode, which will switch the inverter to idle at appropriate times. Using sources of alternative energy such as wind and solar power will not only reduce your organization’s carbon footprint, but it will save you on your electric bill. These are just a few tips that you should consider implementing in your data center. A fortress-like set of security measures protecting a fully utilized server can all be run on clean energy. A data center utilizing these three strategies will be more efficient and more effective. 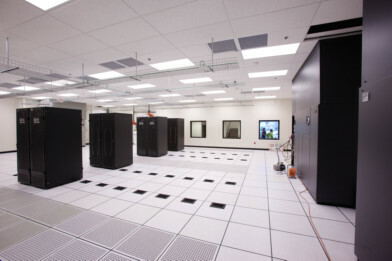 This entry was posted in Data Center Design, data center equipment. Bookmark the permalink.